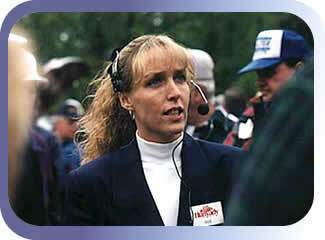 Susan Hunyady has been part of the company team since 1992. A licensed auctioneer, she currently serves as the Vice President of Administration and Marketing Director for Hunyady Auction Company and Appraisal Services. She is also responsible for office network administration and the development of Hunyady’s custom auction management software. Susan has well over a decade of experience in office administration and project management, beginning with a stint in the United States Air Force prior to joining Hunyady Auction. She enjoyed a successful career at the 485 Engineering and Installation Group for the USAF. During her active duty, she served as assistant to the section commander and was responsible for various administrative and supervisory duties for an organization with over 500 active-duty members. Susan is a member of the National Auctioneers Association and Pennsylvania Auctioneers Association. A graduate of the Mendenhall School of Auctioneering, she has donated her services as an auctioneer to numerous charitable organizations, including the National Leukemia Association, the Rotary Club, and various school fundraisers. She has also designed several industry award-winning auction brochures. Most recently she has successfully completed and passed the Uniform Standards of Professional Appraisal Practice course.